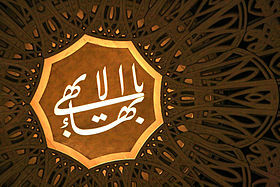 Following the Islamic Revolution, the Iranian government has not officially recognized the Baha’i religion. According to the Constitution of the Islamic Republic of Iran, the only recognized religions apart from Islam are Zoroastrianism, Judaism, and Christianity. When the Islamic Republic came to power, confrontations with Baha’is entered a new level of intensity. Throughout the 1980s, many Baha’is were arrested and imprisoned, their property was confiscated, and a number of them were executed. Soraya also noted that two of her brothers were arrested and initially sentenced to death in the 1980s, and that through the efforts and campaigns of human rights activists, the death sentences given to a number of Baha’is—including her two brothers—were overturned. Recently, Mohammad Javad Larijani—the head of the human rights council in the Iranian judiciary—denied the idea that Baha’is in Iran “face any kind of discrimination or human rights violations simply for being Baha’is”, and declared that no one is tried before a judge or barred from higher education just for being Baha’i. These remarks come at a time when the worldwide Baha’i community and activists for the rights of religious minorities in Iran note that after the revolution, Baha’is were fired from their occupations in the public sector and were deprived of a university education. Despite the fact that Iranian officials have repeatedly denied the existence of any human rights violations against Baha’is, when conservative religious jurists have been asked about Baha’is, they have not acknowledged any rights for them. 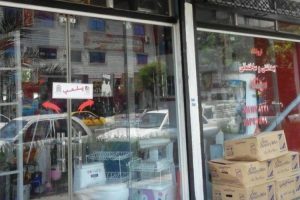 Mr. Fereshtian added: “The citizens of a country should not be given any preferential treatment as long as they pay taxes. They should have a share in its natural resources and general prosperity—there is no difference among them. A Muslim and a non-Muslim, or a pious and impious person, are all equal citizens. We do not have first-class and second-class citizens. 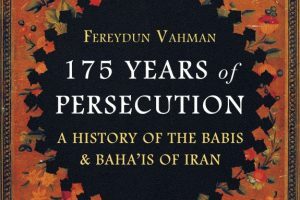 After the revolution, however, the mindset that was meant to be reserved for the Muslim community was applied to the entire nation, and the prejudices and privations which undeniably exist and have so regrettably beset the Baha’is are indicative of the now-prevailing conservative mindset, which was only intended to apply to agreements between Muslims and non-Muslims in an Islamic society.